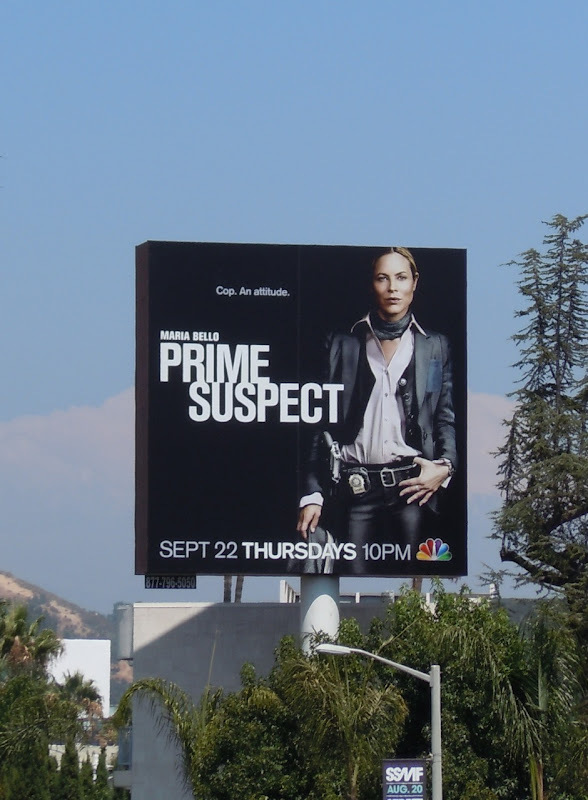 Twenty years ago Helen Mirren garnered rave reviews and high praise for her depiction of the strong, no-nonsense 'Jane Tennison' and showed how the female Detective Chief Inspector survived and thrived in the male-dominated U.K. Police force. 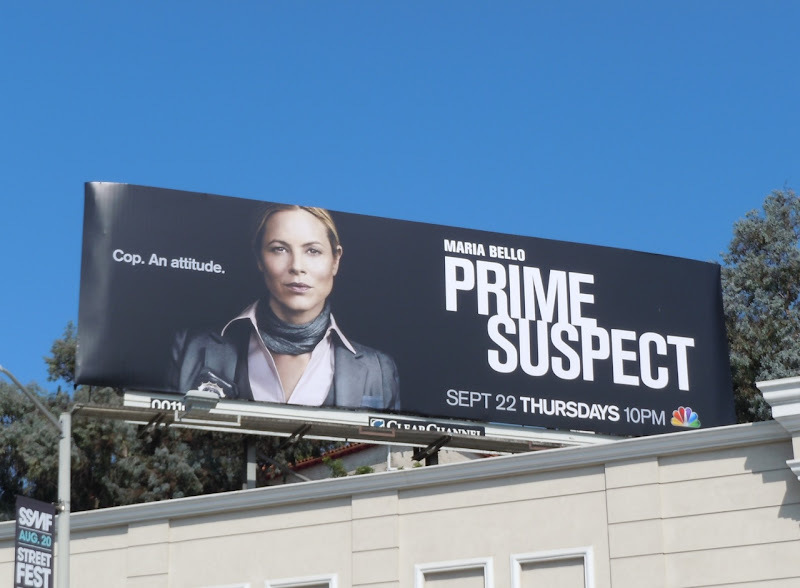 This September Maria Bello will star in a re-imagining of the hit British TV series, Prime Suspect (because America doesn't have enough police procedural shows on its networks). 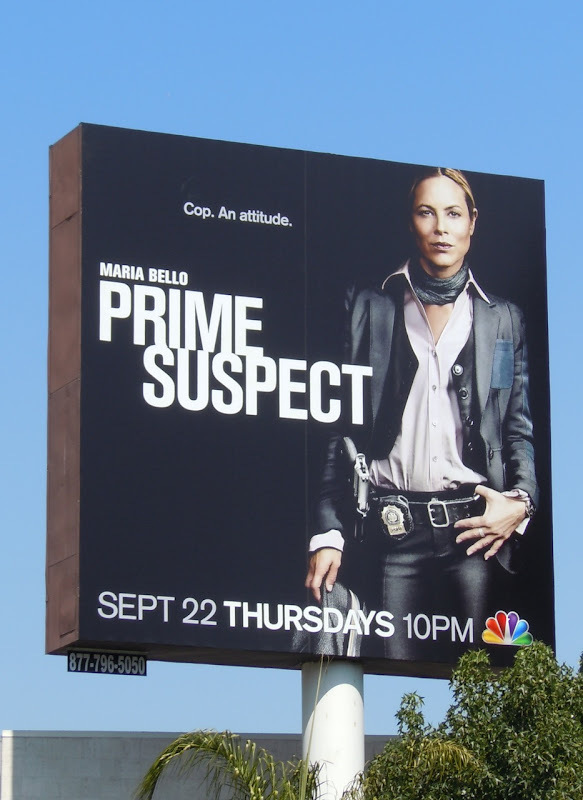 It'll be interesting to see how the new show will fare, especially as there's been many strong female characters on television since Helen Mirren pioneered such a role all those years ago. 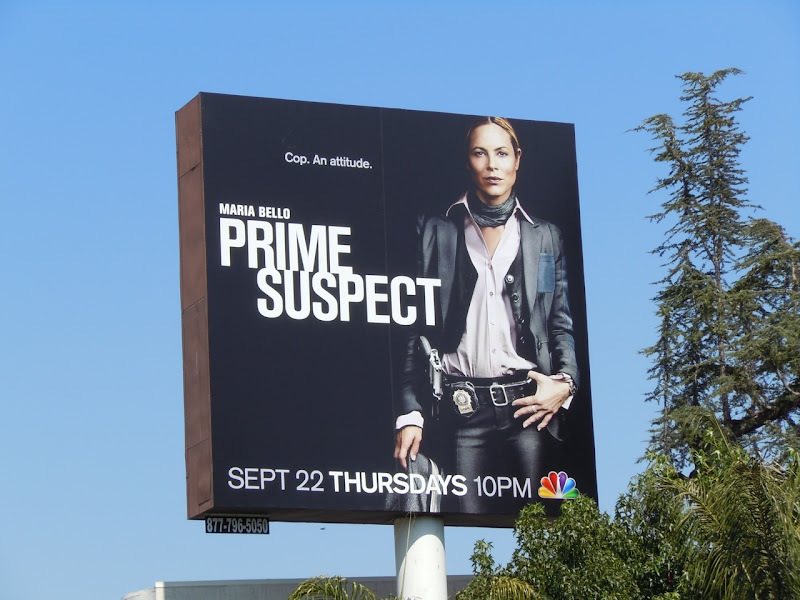 Maria Bello was snapped striking a pose in these billboards along Sunset Boulevard on August 13, 2011.